Bar revolution invited me to try out and review their new spring summer food menu. The guy who called kindly with compliments, gave me and 3 friends lunch. I’ve been to bar revolution in the past for drinks but never ate the food. 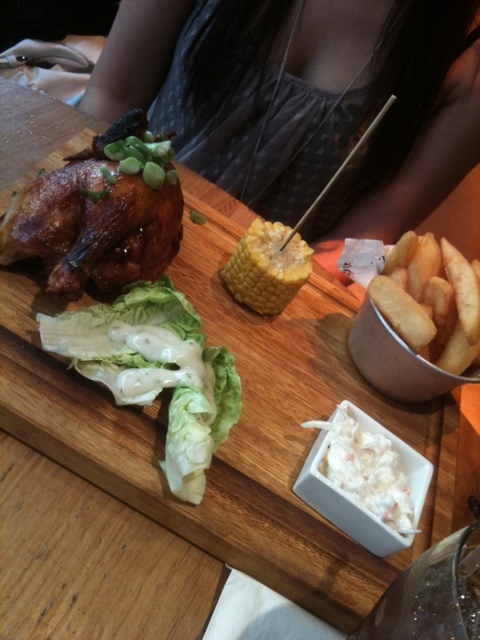 We had, fish and chips, half roast chicken, corn pepper burger. All the food we tried exceeded our expectation and was delicious. 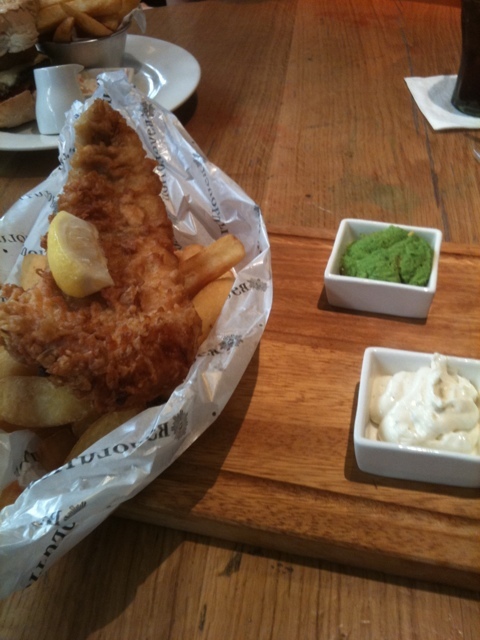 It was quite hard to eat off a chopping board for my fish and chips. My fish was slightly over cooked, I usually dislike beer batter but couldn’t taste it at all. My friend Mary loved her roast chicken, she said it was tender. My friend van had peppercorn burger it was served as a huge tower and packed with flavour. 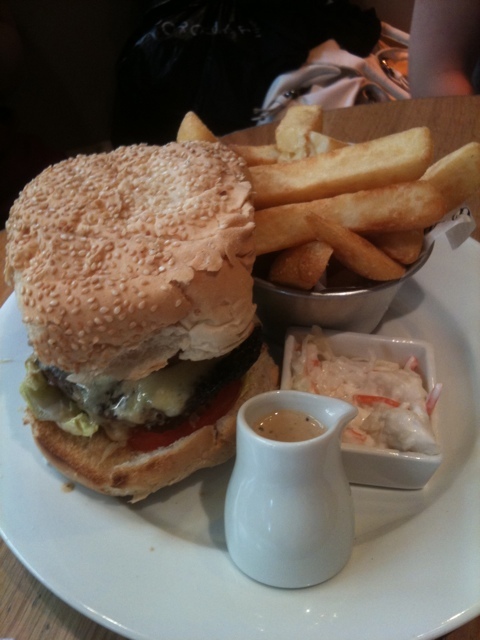 The chips were quite chunky and very filling, we was left stuffed and happy. Overall all meals are priced under £10 and worth the price if you have a privilege card you will save 25% off.